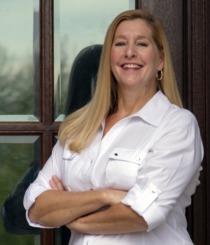 Before becoming a realtor, Theresa taught middle school math and science in Oldham County for 18 years. As a teacher and Louisville native, she is deeply invested in her community and knowledgeable about its many beautiful neighborhoods. By seeing her clients as neighbors, she readily forms relationships that make the process of buying or selling a home much more comfortable and stress-free. With experience in renovation, she is able to inform her clients about areas of value and expense in a prospective home. Theresa is a foodie that enjoys the huge number and diversity of restaurants in the Louisville area.